Tour on foot, by trolley, horse-drawn carriage, Segway, or bike. If you have the will, Savannah has the way to unravel and understand the history and culture of the city. Your Historic Inn of Savannah host can lead you to the tour or tour company that matches your interests. From gardens and ghosts to cuisine and architecture, you are certain to find a tour or two that takes you to your thrill. Below are some of our recommended tours. By far, the most popular tour arranged at all of the Inns is Old Savannah Tour's On/Off trolley tour of Savannah's historic district. Each day, tours depart approximately every 15-20 minutes. You can ride along and see all the highlights of Savannah's historic district in about 90 minutes, or you can make a day of hopping on and off the tour at 15 of the city's most popular historic sites. It's a great way to see the city at your own pace, and we highly recommend it as a way to get to know the city. 8 PM - Voices of the Dead: Hear stories of shadow people, murder, and of cemeteries that have been paved over. Watch and listen to evidence of both residual and intelligent entities that still reside within these historic homes. Find out why one home required us to bring in a Catholic priest to perform an exorcism. 10 PM - The Restless Souls: Discover the history of hotels that were once converted into hospitals during the Yellow Fever Epidemic and during the Civil War. Find out about a serial killer that came to Savannah in the 1990's. Listen to stories of poltergeist activity and hear evidence of malevolent spirits that still cause physical attacks in these buildings to this very day. 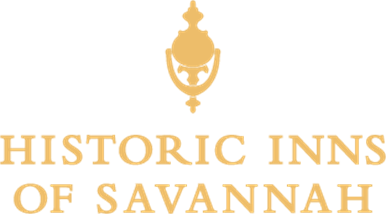 The Savannah Walking Tour & Guidebook. This is an excellent way to tour Savannah on your own and at your own pace. The book has pictures and a brief description of the historic sites and buildings. It has directions to each site, with the city being broken down into areas. Savannah Architectural Tours. This book, composed of three self-guided walking tours, takes you on a journey through Savannah's past and introduces you to the City's magnificent historic architecture. Savannah Food, A Delicious History. Savannah's remarkable cuisine is a reflection of its own unique history. Savannah's eclectic European influences mix neatly with traditional Gullah techniques, surprising local ingredients, and world-class seafood. Follow the journey to find the roots of Savannah's famed dishes and the current restaurant renaissance.